<table align="left" border="0" cellpadding="0" cellspacing="0"><tbody><tr><td valign="top"> </td><td width="10"></td></tr></tbody></table>Who divided India? <table border="0" cellpadding="0" cellspacing="0" height="5"><tbody><tr><td height="5"></td></tr></tbody></table>Historian Stanley Wolpert's new book -- Shameful Flight -- revisits Partition, and lays the blame for one of the most horrific episodes of the 20th century squarely on the shoulders of a Briton, finds Arthur J Pais. Admiral Louis Francis Albert Victor Nicholas '****ie' Mountbatten, the favourite cousin of British King George VI, was famous for his charm. His sycophants in England called it irresistible. His admirers in the British government even thought of him as a statesman who could charm discontented nationalist leaders of the British Empire, and tease out of them agreements that seemed impossible for other British diplomats to obtain. So Mountbatten was sent to a deeply restive, increasingly riotous and ceaselessly rebellious India in March 1947 as Britain's viceroy, to hammer agreements that could allow the British to withdraw from the subcontinent with dignity -- leaving the country unified. 'Mountbatten viewed the prospect of ruling India during the Raj's sunset year as challenging as a hard-fought polo game, as he put it the King -- 'The last Chukka in India -- 12 goals down,' writes historian Stanley Wolpert in his riveting, disturbing and provocative book, Shameful Flight: The Last Years of the British Empire in India. "It was a task for only a person of deep insights into India," says Wolpert -- considered by many to be one of the best historians writing on the subcontinent -- in a telephone interview from Los Angeles. "The mission needed a person of great diplomatic skills and [one] who absolutely lacked arrogance." </td></tr></tbody></table> What Wolpert would discover some 55 years after the Partition of India -- and the concomitant fleeing of more than 10 million Hindus, Muslims, and Sikhs from one side to another -- was so horrifying that the 79-year-old historian might have had a hard time believing it. Mountbatten was not only totally inept at dealing with fractious Indian political parties, Wolpert writes, he hastened the process of Independence. The British government wanted to leave India by 1948 but Mountbatten cut the time by half to mid-August 1947 because he was impatient to get back to England and build his naval career. Much of it had to do with vindicating his father's reputation. First Sea Lord of the Royal Navy Prince Louis of Battenberg was forced to resign from the fleet during World War I because of his German origin. The family changed the last name to Mountbatten to avoid further vilification. His then 14-year-old son resolved to join the navy and remain in it until he became First Sea Lord. "So Mountbatten resolved to make fast work of his India job," Wolpert says. "The British cabinet gave him a longer time, but he never had any intention of using it." Worse, Mountbatten kept the Partition maps of Punjab and Bengal -- with the Muslim areas of the two provinces going to the newly created Pakistan -- secret, until it was opportune for him to make the announcement. 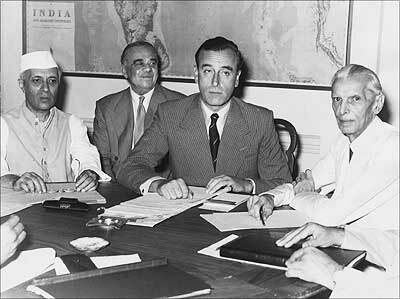 Image: At the conference in New Delhi where Lord Louis Mountbatten disclosed Britain's Partition plan for India. (Left to right) Jawaharlal Nehru, Mountbatten's adviser Lord Ismay, Mountbatten and Mohammed Ali Jinnah. </td></tr></tbody></table> In his book published by Oxford University Press -- and which reads in parts like fine detective fiction -- Wolpert has directed quite a bit of blame for Partition at many Indian leaders, including Jawaharlal Nehru, Independent India's first prime minister. One of the reasons for the Labour government in Britain, which had come to power soon after World War II, to grant hasty independence to India was because there was hardly any trust between the Labour and Indian leaders, Wolpert argues. "There were many Left-leaning Labour leaders who thought their proposals for a gradual transfer of full power to India were not appreciated by Indian leaders," Wolpert says. "They felt Indian leaders were not being grateful, not appreciating the efforts Labour was putting in to end the colonial rule, unlike the Tories led by (Winston) Churchill." 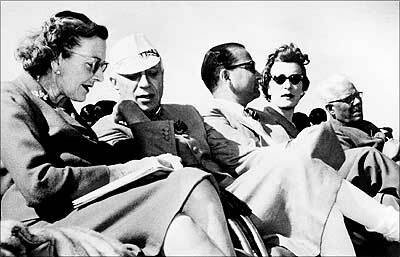 Image: Jawaharlal Nehru speaks to Lady Edwina Mountbatten during a display given by the New Delhi Glider Club. On the right, Lady Pamela, daughter of Nehru's guest. </td></tr></tbody></table> The central villain in the book is undoubtedly the arrogant and unrealistic Mountbatten. "Partition maps revealing the butchered boundary lines drawn by Sir Cyril Radcliffe," Wolpert says, "through the Sikh heartland of Punjab and the east of Calcutta in Bengal, were kept under lock and key on Mountbatten's orders." Radcliffe, a barrister, had never set foot on Indian soil before 1947. "He was to accomplish, in a month, work that should have taken at least a year," Wolpert points out. "He was so afraid of what he had done -- worried that Sikhs, Hindus or Muslims would kill him -- (that) he left India hastily." Wolpert says had the governors of Punjab and Bengal known about the way the two provinces were being partitioned, "they could have, with their early knowledge, saved countless lives by dispatching troops and trains to what would soon become the lines of fire and blood. "The rapid departure of the British from the region was the catalyst for over half a century of violence, a legacy that lives on today," the historian says, discussing why Partition still holds interest for him. "The Indian leaders as well as their counterparts in England failed to appreciate how bad and how weak a viceroy Mountbatten was," Wolpert continues. "In many ways, he was the worst viceroy of India, he was the centerpiece of this tragedy." </td></tr></tbody></table> Shameful flight The failure of the British government to see the larger picture and Mountbatten's preoccupation with his career created explosive conditions made worse by the warring Indian leaders, he says. "I still wonder how it was possible for the leaders of Great Britain, barely two years after defeating, with American support, the armies of Hitler and Mussolini, to withdraw 14,000 British officers in such unseemly haste from India," he adds. Churchill, who was bitterly opposed to an independent India, cautioned against the sudden departure. He thought the original 14-month schedule was too hasty. His opposition 'could be counted as one of history's supremely ironic moments,' writes Wolpert. Image: Washington, DC. October 13, 1949: Jawaharlal Nehru arrives in the US. 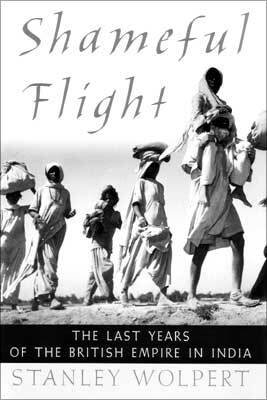 "For half a decade, I have pondered the question of the tragedy of Partition, and I have dealt with it in some form or the other in many of my books," Wolpert says. "I have also been trying to understand the role of the major people involved in Partition." 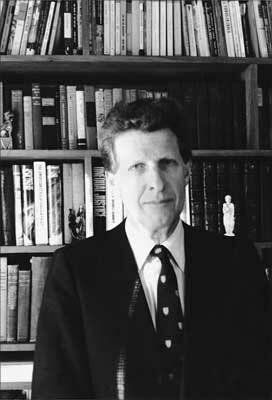 Wolpert had been thinking of a book exclusively focusing on Partition for many years but, but because of his other assignments, could begin working on it only about six years ago. "I am glad I waited for," he said from his Los Angeles home on a Sunday afternoon. "After half a century of studying and teaching Indian history and writing 20 books on the subcontinent, I finally got an opportunity to reflect on one of the most momentous events in history." He sees parallels between the aftermath of 9/11 and what happened in India in 1947. He sees the "same kind of madness, the same kind of arrogance (as in Mountbatten's decisions) in going to war against Iraq." The infighting between the Indian leaders added to the tension and problems. Some of them changed their minds too quickly. 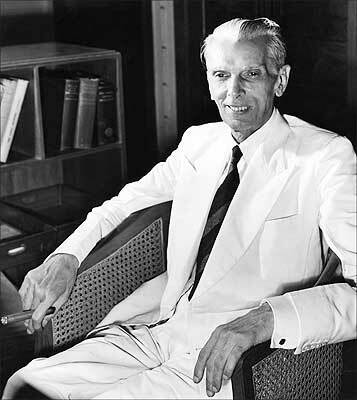 Jinnah, who complained the British were prepared to give him only a moth-eaten Pakistan -- meaning a country with the partitioned states of Punjab and Bengal -- at one point suddenly told the British he was not averse to the idea of an independent Bengal ruled by a fellow Muslim League leader. Image: Karachi, Pakistan. September 18, 1947: Mohammed Ali Jinnah, the founder of Pakistan during an interview. He was so serious about saving India that he sent word, a few months before Partition, to Jinnah through Mountbatten that he would not object to Jinnah being the leader of free and united India instead of Nehru. But Jinnah -- who always mistrusted the Mahatma, calling him 'wily Gandhi' -- had no use for such overtures. Nehru is also faulted for not listening to Gandhi in getting Jinnah to mediate in the escalating violence in undivided Kashmir. Gandhi even wondered if holding a plebiscite in Kashmir could end the looming violence there. Why did Nehru listen so much to Mountbatten? Image: Lord Mountbatten preparing on the final stages of India's Partition. </td></tr></tbody></table> Nehru had talked about Mountbatten's fatal charm," Wolpert says. "Of course, he was flattering Mountbatten when he said that. But Nehru unfortunately came too much under the influence of Mountbatten, exacerbated by Nehru's education in England. Nehru was charmed by the English upper world, he thought he could trust and work with Mountbatten. "Mountbatten's royal blood appealed as much to the rulers of princely states in India," Wolpert continues, "as his radical views and social charms did to Nehru. 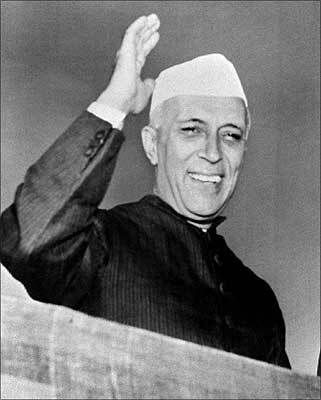 His charm was so much Nehru was blinded by it." Asked if Nehru's relationship with Mountbatten's wife Edwina played a role, the historian says, "It helped him cloud the danger of what Mountbatten was doing." Wolpert doesn't fight the idea that Partition looked inevitable by 1947, and he understands why Nehru, seeing the way Hindus had been killed in Bengal and Punjab, agreed to the partition of the two provinces. "But the real solution to any massacre is not to make more violence by drawing a line blindly through a province," the historian points out. Image: Lord Mountbatten, Jawaharlal Nehru and Lady Mountbatten share a light moment preparing for the final stages of freedom for India. </td></tr></tbody></table> Years after Partition, Mountbatten would whisper now and then how he had botched up the Independence process. Nehru 'finally awakened,' and admitted in a letter to the Nawab of Bhopal, a friend, 'Partition came and we accepted it because we thought that perhaps that way, however painful it was, we might have some peace. 'And yet, the consequences of that Partition have been so terrible that one is inclined to think that anything else would have been preferable,' Nehru added. At the end of his six-year research and writing, Wolpert was looking for a picture for the book's dust jacket. He had gone through hundreds of pictures of Partition. And he had also seen pictures offering glimpses of thousands of people who perished in the tragedy -- some estimates believe over a million were killed. "Suddenly, I came across an image that encapsulated the tragedy," he says. It is a picture by the well-known photographer Margaret Bourke-White, showing mostly bare-footed refugees going to places they felt would be safe from the communal carnage. The image of a Sikh man in the same photograph carrying a woman on his shoulders also spoke volumes, Wolpert says. "The picture brought to our attention the fact that these poor, barefoot people with no possessions had to make the perilous journey because of the idiocy and arrogance of those who had a duty to protect them." Image: Partition woes: People on their way to India leaving behind their homes and land in Pakistan. Gandhi was responsible for dividing India. He made no restrictions whatsoever when Pakistan was created, but i guess India, the flawed democracy will never admit that their "Gandhi pyare desh ke sitare" was responsible for the divide and slaughter of over a million people. Muslims and Islam can never live with non-Muslims and non-islamic people and thus they divided India. No wonder whereever the Muslims are in critical numbers (10-20%) around the world there are the problems. Muslims have never and never will believe in "live and let live". So it is our Dharam (duty) to fight them and get rid of them. no our dharm only teaches us to live peacefully and dont use "tegh"/weapons unless someone hurting u wrongfully......and dont blame it on all muslims for what some phonetics do, eda ta saanu vi blame karde aa hinduaa nu maran layi te hinduaa nu saanu maran layi, par na ta saare sikh eda de hann te na saare hindu, People religion is a big part of life but please follow humanity before any religion. its pretty simple, the british divided india. Similar Threads for : Who divided India? Nokia Mobile Price list (India) Updated.